Clicking on the selected icon in the chart menu panel. Selecting the desired crosshair variant. Pointer: the mouse pointer is displayed as an arrow. Crosshair: the mouse pointer is displayed as a crosshair. 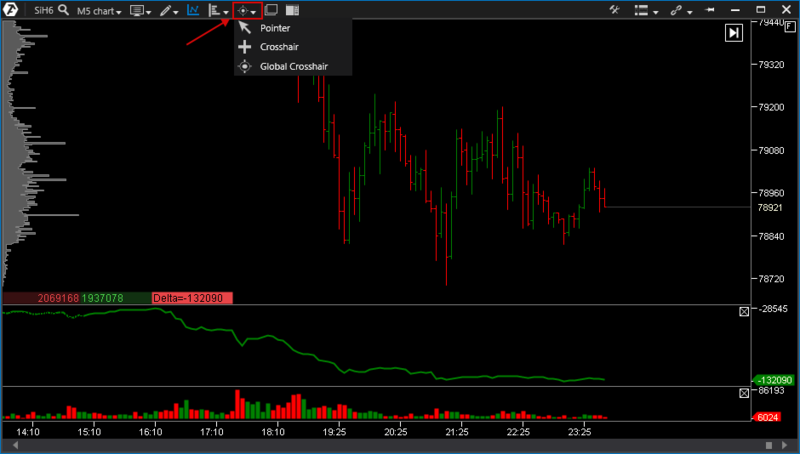 Global Crosshair: the global mouse pointer, which is displayed the same on the timeline of all open charts regardless of the tool and the time frame. To change the vertical or the horizontal scale, left-click and move the mouse in the price line or timeline areas without releasing the mouse button. 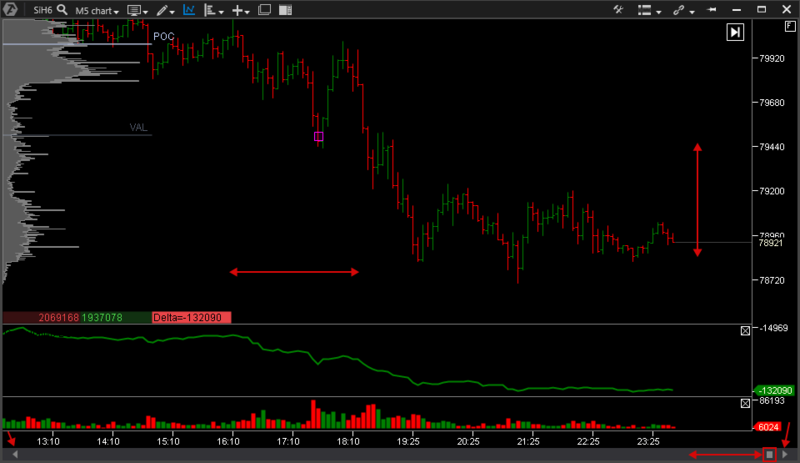 To scroll through the chart, left-click on the chart and move the mouse to the left / right or up / down without releasing the button. 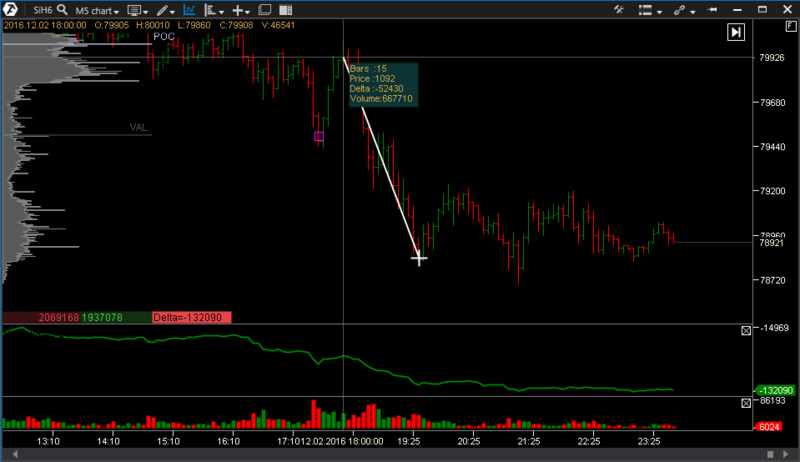 Alternatively, you can use the mouse scrolling function, Page Up, Page Down buttons, or the slider at the bottom of the chart and arrows in the lower corners of the chart. * The horizontal scale can also be changed with the mouse scrolling function (scroll without releasing the Ctrl key on the keyboard). 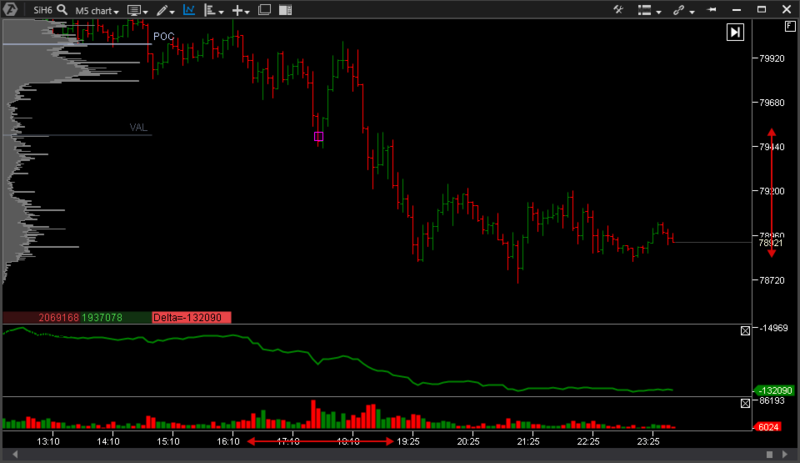 To return the chart to the last bar, press the button. To cancel the manually set scale, press the button. For the fast measurement of the number of bars and the price range, press the mouse scroll button and move the mouse to the required location.